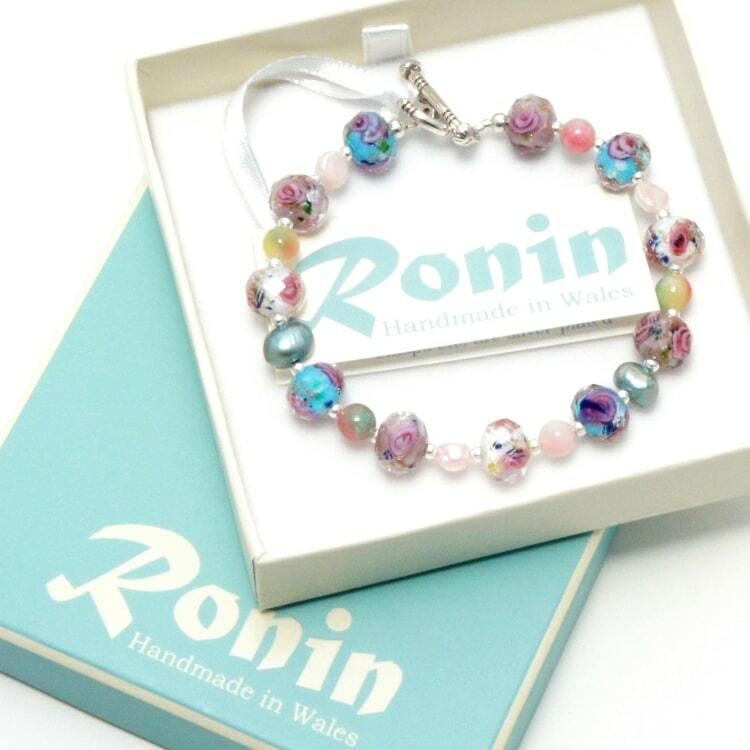 Ronin Jewellery produces beaded, semi-precious gemstone jewellery in our studio in Wales. We are proud our jewellery is handmade in Britain. 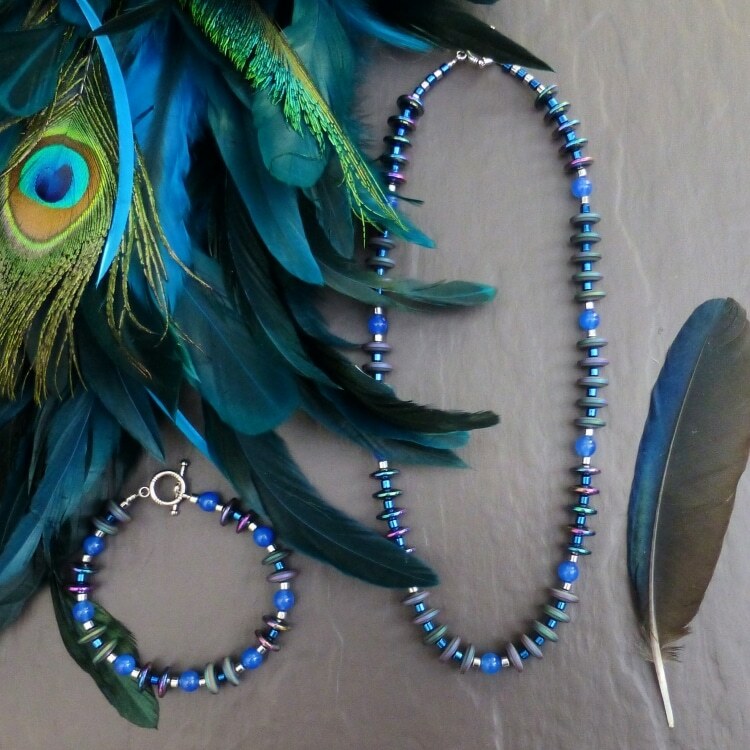 We create colourful pieces, combining gemstones with other beads such as pearls & glass. Popular as gifts, our jewellery comes beautifully gift boxed. The boxes also contain branded tissue paper to keep the jewellery safe. We provide quality point of sale cards to be displayed alongside our jewellery. We offer great attention to detail and customer service. We bring out new ranges 3 times a year, so there is always something new to see, with colourways to suit the season. We offer a discounted starter pack for new stockists – we change this seasonally so you get bestsellers in colourways perfect for the time of year. 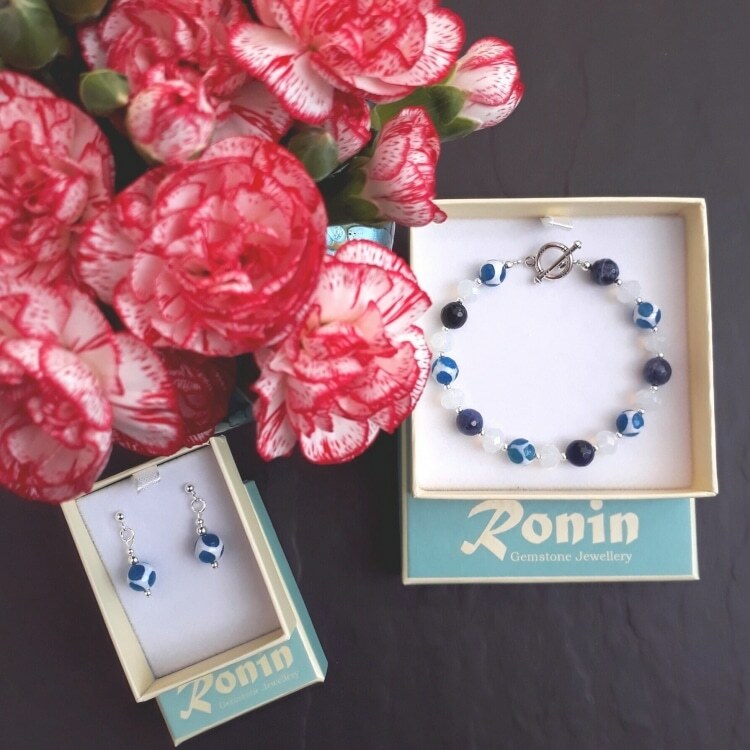 The trade prices for our jewellery range from £4.50 to £11.99 (gift boxes are included in the price), with a suggested retail price of £11.99 to £29.99. 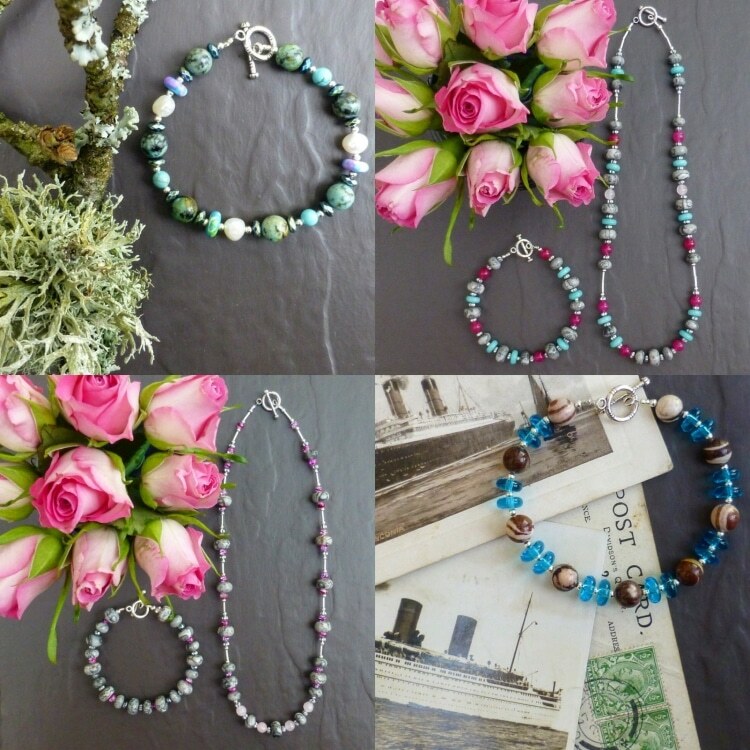 We hope we can tempt you to try our jewellery. If you have any questions, please get in touch. 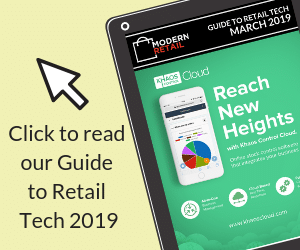 We can mail you our trade catalogue or provide you with login details to browse & shop online.